A very special train arrived in Lyon on Thursday 21 April 2016, after travelling 11,300 km from Wuhan, a large city in central China. 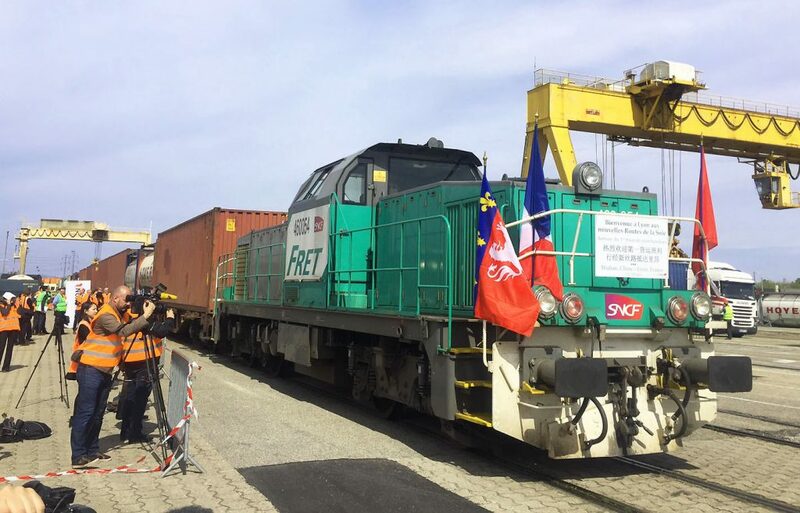 Receiving a ceremonial welcome, this 1st train connecting France to China was greeted in the presence of Mrs. Wang Ju, Consul General of China, and by elected officials of the Métropole de Lyon, at the Vénissieux Saint-Priest multi-modal hub. Inside of the 41 containers were mechanical, electronic and textile products. The City of Wuhan, whose infrastructure is quite similar to that of the Métropole de Lyon, according to WAE Logistics (the Chinese company that organized the convoy) is also known for the many French investments that have been made there (up to 1/3). The City Hall of Lyon thus has great expectations for this railway line, which has the objective of facilitating trade between the east and west, as the Silk Road did at the beginning of our era, monopolizing international trade for more than 15 centuries. Thus, it will contribute to building a positive relationship between France and China, which has been developing for many years now, thanks in particular to the Franco-Chinese Institute of Lyon. This institute, which has been experiencing a revival over the past few years with the New Franco-Chinese Institute, trained the Chinese elite in the mid-20th century. Due to the fact that it currently takes at least 5 weeks and up to 2 months for a sea crossing, the more environmentally friendly railway link is a truly viable alternative. Since the transportation time will be limited to just 16 days, and the cost will be lower than air freight (80% less on average), it will be easier for companies to ship French and Chinese goods. 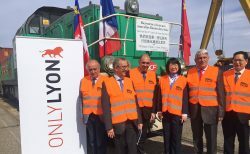 Well aware that Lyon “represents a significant power in industry and technology”, WAE Logistics is already sending 2 trains per week from Wuhan, with 1 train making the return trip from Lyon. By connecting Lyon to China, this new Silk Road will not only boost trade; it also holds the promise of more Chinese companies coming to Lyon to set up for business. Indeed, with 80 French companies such as Alstom and Citroën in China and about 20 Chinese companies in the Métropole de Lyon, this new alternative mode of transportation would raise the possibility of increasing the number of companies setting up shop: both Chinese companies in France and vice versa.